You are here Home News How about a Guernsey Cheese board? There are various websites that you can order these products from or direct from the producers. Unfortunately, at present we are unable to suggest anywhere you can get all of these from under one roof, however this may be possible in the future. Until then, this article will� hopefully help you locate some. Suffolk Farmhouse produce 4 cheeses which are available at various farmers' markets, farm shops, specialist delicatessens and restaurants. Please contact them for more information or visit their website for the list of regular farmers' markets they attend. They can also supply via mail order; the charge for shipping starts at �6.95. Suffolk Gold � A creamy semi-hard farmhouse cheese, delicately flavoured and a rich golden flavour, delicious eaten with oatcakes or an apple. Also melts beautifully! Golden Lady� � a soft white-mould ripened cheese. A distinctive flavour, very rich and creamy. 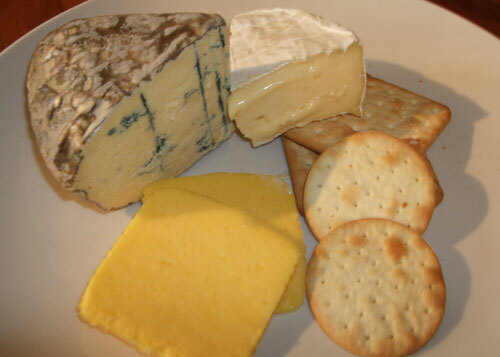 Suffolk Blue � a creamy rich blue-veined cheese. Soft and luxurious. This comes in 500-750g as a whole but can be cut to any size wedge. 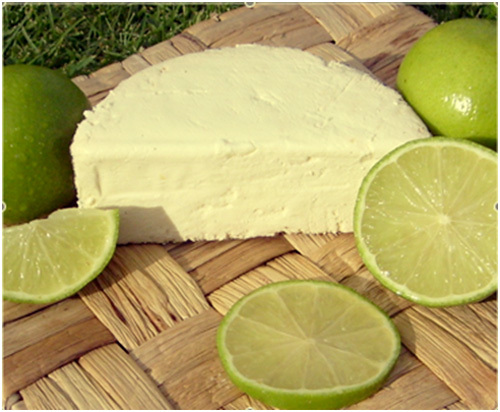 Meadow Gold � fresh curd cheese, ideal for cheesecake or curd tart baking, but also delicious spread on toast or crackers. This is sold in 220g pots. Hurdlebrook produce three cheeses. One is made to a Caerphilly recipe and the other two are hard Cheddar type cheeses. These are available through a number of Somerset retailers and two outlets in London along with regular farmers markets. Please see their website for more information. Hurdlebrook Cary � made to a Caerphilly recipe. Matured for 4-5 months this produces a creamy hard cheese with a slight crumbly texture. Hurdlebrook Foddington � this Cheddar-type cheese is made in three 1/2 kg wheels which is allowed to mature for 12-14 months. This produces a hard tasty cheese. Hurdlebrook Ancient � Produced in 26Kg traditional truckles this cheese is then allowed to mature for up to 2 years. This creates a wonderfully strong hard Cheddar type cheese. Delicious with chutneys. Tiresford Guernsey Gold produce a soft cheese. 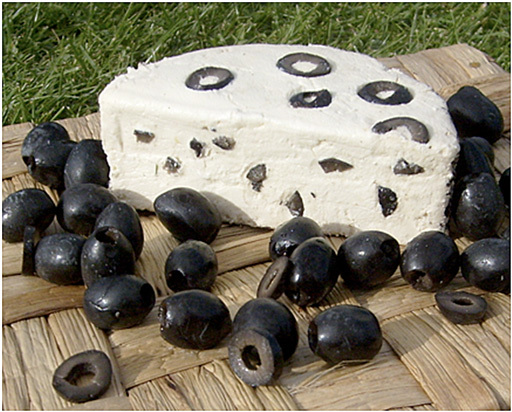 Bocaddon produces�4 varieties�of soft cheese: the first is covered with Cracked Black Pepper, the second is smothered with Cornish Herb and Garlic, the third with Black Olives and the fourth is plain (ideal for cooking). The first two are available online�through The Cheese Shed. All are available�direct from�Valerie on 01503 220993 (for local deliveries) or at various delicatessen and local farmers' markets. They are�planning to launch their new website in the New Year and then, hoping to be able to take orders for their products outside of the South of England. 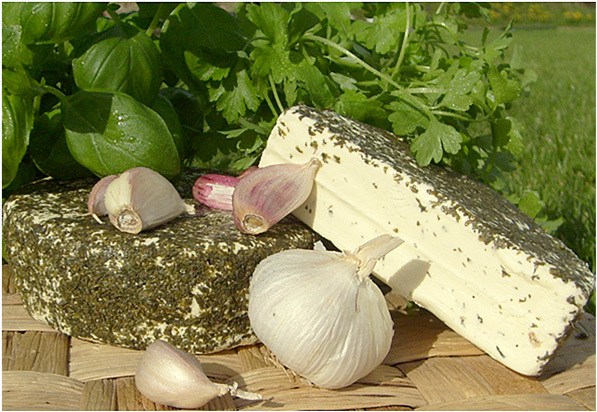 Two Hoots Cheese�in Berkshire produces award-winning cheese from Guernsey milk. If you click on The Dairy page it�explains the whole cheese making process from the milk to the final product in both text and a series of pictures. Barkham Blue � this is a double award-winning blue cheese: Best Blue and Supreme Championship. It is a deep yellow, firm, buttery cheese with dark blue veins. Barkham Chase � a soft blue veined cheese with a strong creamy taste. 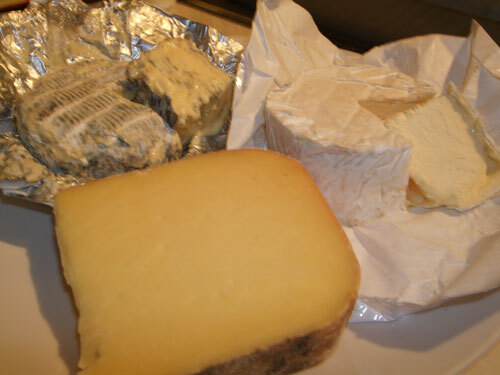 Inverloch are from Mull of Kintyre and have a few cheeses made from Guernsey milk, with Goats' cheeses also available. They have an online shop (click the name to link) although not all their cheeses appear there as some are only available locally. 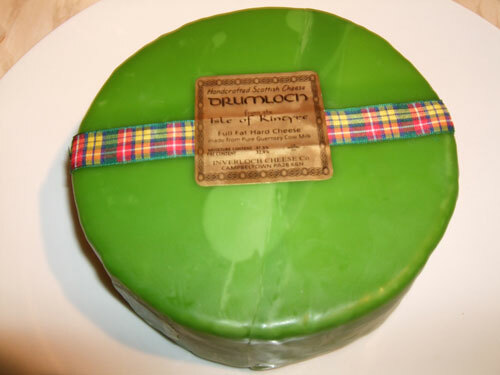 Drumloch � -- a full-fat hard pressed cheese of the Cheddar type made using their own herd of Guernsey cows. It has a creamy texture, clean odour and light golden colour. It holds a Gold medal award at the British Cheese awards along with best Scottish Farmhouse Cheese in taste trials conducted by the Scottish Agricultural College. Howgate� Kintyre Brie � is a creamy Brie with a lovely flavour even when young. It is hand-ladled and turned daily until ready. Available throughout the UK by Trade distribution. 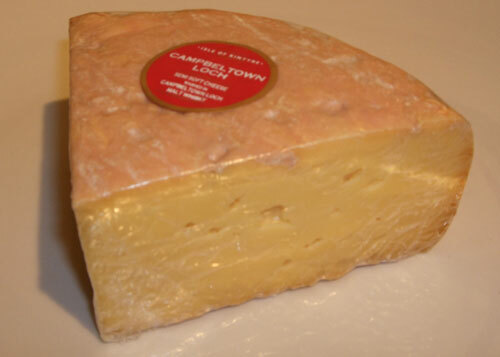 Campbeltown Loch � � is made with their Guernsey milk and is produced into a novel creation. It is an unpressed cheese with natural spaces in the pate which is rind-washed for about two months before being wrapped. This has a strong pungent aroma from the rind but has notes of Cheddar from the body of the cheese. Isle of Wight Blue � won the Fortnum and Mason sponsored 'Best English Cheese 2007' at The World Cheese Awards. 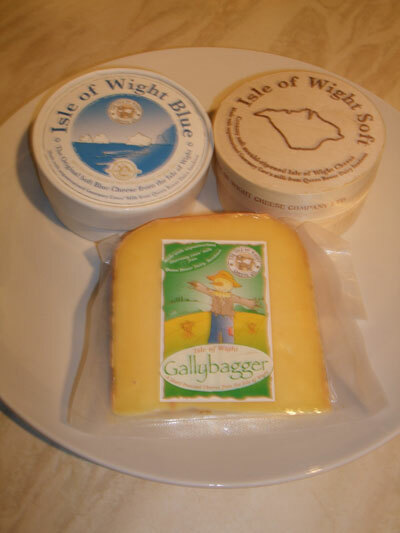 Isle of Wight Soft � is similar to a Camembert or Brie and is presented in an attractive wooden box. Gallybagger � this is a 7 month old Cheddar-type hard pressed cheese that matures in their ripening room while sat on locally-cut sycamore wood. We hope you find this information useful and the cheeses delicious. Feel free to let us know what you think of the various products by adding your comments or contacting us. If you know of any other Guernsey, not Channel Island, cheeses we should add to this page please let us know.